My Social Security disability application was denied, and I do not understand the appeals process. Should I contact a lawyer? Yes. In many cases, it makes sense to appeal a denial of Social Security disability benefits. The majority of initial Social Security disability claims are denied, and many deserving claimants are left deciding whether they should give up on their application or file an appeal. If you decide to file an appeal and to pursue the benefits that you deserve, then an experienced disability lawyer can improve your chances of success. Is your disability included on the Social Security Administration’s Listing of Impairments? The Listing of Impairments provides an index of disabling conditions and explains how severe a condition must be to qualify for disability benefits. Will your disability keep you from working for at least a year or result in your death? One of these things must be true in order to qualify for Social Security disability benefits. Are you over age 55 or is your disability severe? These factors can greatly influence your chances of winning an appeal. Are you truly unable to work at any job? The Social Security Administration will look at your condition and decide if you are skilled enough to do some kind of work. Did you find any incorrect information in your denial letter? You can challenge anything that is not factual. Being denied Social Security disability benefits may not be the end of the road. If you want help with making the decision about whether to appeal your disability benefits denial, call the experienced attorneys at Keefe Disability Law today. We can help you sort out the sometimes confusing Social Security disability appeals process and get you on the right track to getting the benefits that you have earned. I was denied Social Security disability benefits because of problems with my medical evidence. What do I do now? You will not qualify for Social Security disability benefits unless you can prove that you are disabled. This requires complete, correct, and current medical evidence that you can present with your application to the Social Security Administration (SSA). What Must Your Medical Evidence Prove? You have one or more health impairments. You must prove that you have a health impairment by providing objective medical evidence from an acceptable medical source. The severity of your impairment qualifies you for Social Security disability benefits. After you prove that you have a health impairment, then the SSA will look at medical evidence (and non-medical evidence) to determine how the impairment impacts your ability to work. Who Can Provide Medical Evidence? Hospitals, clinics, or other health facilities where you have been treated—even if only for a brief time. Medical or osteopathic licensed physicians. Licensed optometrists who can prove that you have a qualifying visual disorder. Speech-language pathologists who are qualified to establish a speech or language impairment. While you may provide the information yourself, the SSA will also help you get the medical reports you need from your own medical providers. The Social Security Administration guidelines refer to “treating sources.” These are medical professionals who have treated you for some length of time and who are likely to be able to provide medical evidence that shows the history, severity, and future prognosis of your impairment. Treating sources are considered to be strong advocates for you and may provide useful medical evidence to the Social Security Administration. 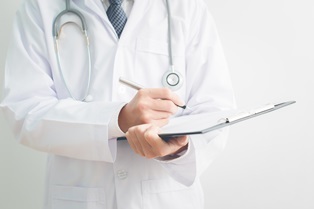 Therefore, if you have a medical provider who can be considered a treating source, then it may improve your chances of receiving Social Security disability benefits. What Kinds of Medical Evidence Do You Have to Provide? A complete record of all the medical treatment you have received in connection with your condition. A medical determination that you cannot work as a direct result of your medical condition. A medical opinion that you will not be able to work for at least 12 months or that your condition will result in death. A detailed account of your treatment plan and evidence that you are following that treatment plan. You are expected to follow your doctor’s orders for treating your condition. You should be taking the medicine that you are prescribed and participating in any recommended physical therapy. The SSA will also be looking to see if you are keeping all of your scheduled medical appointments. If the Social Security Administration determines that the medical evidence that you have provided is insufficient, then the agency may request a consultative examination, or it may deny your application. One of the main reasons Social Security disability claims are denied is because of a lack of medical evidence. Even if you think that you are providing full and accurate records to the Social Security Administration, you may not be providing everything that the agency requires because the requirements are complicated and often confusing. An experienced Social Security disability lawyer can help you sort out the many pieces of evidence that you need, help you get the necessary paperwork you do not already have, and help you get the benefits that you deserve by filing the right kind of appeal. Contact our experienced attorneys today via this website or by phone to schedule an initial consultation about your rights. 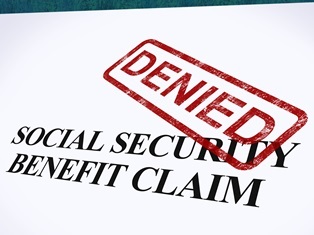 Should I Appeal or Reapply After a Social Security Disability Denial? Should I Hire a Lawyer If My Social Security Disability Application Is Denied? I’m worried! About six months ago I found out that my nerve damage caused by Bell’s Palsy is permanent. I applied for SSDI in Boston for Bell’s Palsy, but was denied. What can I do? We’re sorry to hear that Bell’s Palsy left you with permanent damage. Although rare, this condition can have serious consequences if the treatment does not work. Many times, the permanent nerve damage caused by this condition is enough to impair your ability to work in the job you once used to. Obtain medical evidence. The first thing you’ll need to do is gather all of your medical evidence that shows the extent of your disability. This includes doctor statements, test results, treatments you tried, daily symptoms, and more. Fill out a residual functional capacity assessment. Because Bell’s Palsy is not listed as an impairment, it is important that you show how the permanent damage has left you disabled. Filling out a residual functional capacity assessment shows the Social Security administrator reviewing your appeal exactly how limited you are in your job performance. Work with a Boston SSDI attorney. Filing an appeal is a complex process. With help from an attorney skilled at helping people fight back against Social Security denials, you can dramatically increase your chances at approval. 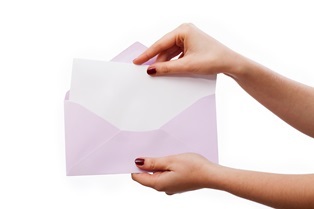 At Keefe Disability Law, we understand how frustrating it is to receive a denial letter in the mail. With our help, you can put together an appeal that will maximize your chances at being approved. Contact a Massachusetts Social Security disability lawyer to learn more about how we can help with your specific case. I was denied disability benefits even though I can’t even leave my house without help. What can I do? I was denied, but don’t understand the appeals process. Can you help? I suffer from an average of two seizures a month. I work in construction, and every day that I am forced to work, I worry that a seizure will put others and myself at risk. I applied for Massachusetts disability for seizures, but I was just denied. Can you help? When you suffer from seizures, disability in Massachusetts can provide you valuable income. This income can help you deal with the need to limit your job functions so that your co-workers and yourself are not put at risk of something going wrong on a job site if you have a seizure. The Social Security disability insurance (SSDI) program in Massachusetts is meant to help limit these risks and provide you the income you need to live. The majority of people who apply for Social Security disability are denied the first time they submit their application. Now that you have been denied, it is important that you work with a Social Security disability lawyer in Massachusetts to submit your appeal. With his help, you can be confident that you submit a complete and accurate appeal that will increase your chances at being approved. Call us today at 888-904-6847 or 508-283-5500 to learn more. Should You Reapply After an SSA Disability Denial? It’s been a year since I was diagnosed with Meniere’s disease and I still have a very hard time doing my job like I once used to. I applied for SSDI in Boston but was denied. Now I’m ready to appeal. What medical records do I have to show for my Meniere’s disease to get Social Security disability in Boston? Meniere’s disease can significantly limit your ability to do your job. When an episode strikes, you may become sick and unable to work at your computer, talk to your co-workers, or think clearly. Although the Meniere’s disease disables your abilities on the job, it can be difficult to show that to the Social Security office and get approved for Boston Social Security for Meniere’s disease. To have your Meniere’s disease qualify for Social Security disability in Boston, a lot of factors will have to be taken into consideration. Making a compelling case for the Social Security to approve you for SSDI in Boston can be difficult. We can help. Contact a Boston Social Security disability lawyer at Keefe Disability Law to learn how you can file an appeal that will maximize your chances at being approved. Call us at 888-904-6847 or 508-283-5500 to learn more. I suffer from severe carpal tunnel syndrome, which makes it almost impossible for me to pick items up or focus because of the pain. I was just denied SSDI in New Hampshire. Help! What can I do to show them that this is a real disability? Carpal tunnel syndrome is enormously painful and frustrating. The pain from the swelling around your nerves makes it difficult to concentrate. The numbness caused by your nerve being pinched can limit your ability to do basic workplace tasks. Even picking up a phone can be intolerable. Although disabling, carpal tunnel syndrome is not listed by Social Security as a qualifying disability. However, there are still options that may help you be approved to receive SSDI. Here is some of the medical evidence you will need to provide in your appeal to increase your chances of being approved. Measures of your thumb weakness. This can be done by your doctor by measuring your ability to raise your thumb upward when it is flat on the table, or your ability to touch your pinky with your thumb. Pahlen’s test. This test checks for symptoms of carpal tunnel syndrome while your hands are dangled off the table. Tinel’s sign. Your doctor will check for Tinel’s sign, which is when your median nerve tingles or is shocked when touched. Nerve conduction study. This will measure how fast signals are sent through the affected nerves. There may be other tests and pieces of medical evidence to demonstrate your disability. It is important that when filing your appeal that you work with a New Hampshire disability attorney. At Keefe Disability Law, we understand what Social Security is looking for and needs in order to approve you to receive the SSDI you are entitled to. Call us toll-free at 888-904-6847 and request a FREE copy of our book, The Five Most Frequently Asked Questions About Social Security Disability.